Bask in the glory of youthful, soft and radiant skin this winter. 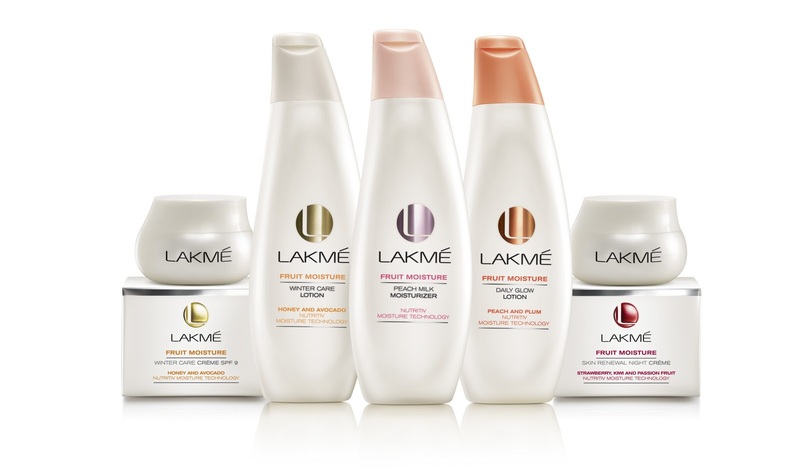 Indulge in Lakmé’s new winter care range comprising of moisturizers, day crème, night crème and lotions oozing with the goodness of exotic fruits. Loaded with Nutritiv Moisture Technology, the new Lakmé Fruit Moisture Range gives you twelve hour moisturisation for younger looking skin even in winters. With the breakthrough Nutritiv Moisture Technology comprising of a blend of Hydrating agents, Essential Vitamins, AHA’s & Anti-oxidants, Lakmé’s Fruit moisture range gives your skin a 200% moisture boost. Within the range, Lakmé Peach and Plum Daily Glow Lotion and Lakme Peach Milk Moisturiser are perfect for yearlong skin moisturisation ,while Lakmé Honey & Avocado Winter Care Lotion, Lakmé Honey & Avocado Winter Perfect Day Crème and Lakmé Skin Renewal Night Crème are infused with winter care emollient making them a perfect pick for the cold weather. Enhance your skin’s natural radiance with this 12 hour intense moisturiser. A youth-preserving formula of peaches, plums soaks into the deepest layers of your skin to give you radiant glowing youthful skin. Use this lotion all year round for that radiant glow. Indulge in the goodness of peach with the Lakmé Peach Milk Moisturiser. Enriched with Nutritiv Moisture Technology, this peach infused lotion goes into each derma layer of the skin to give you intensely nourished and visibly young looking skin. 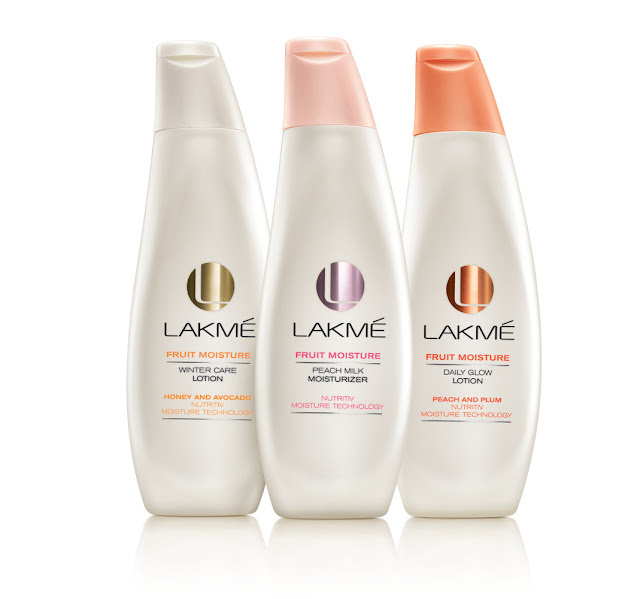 Use the Lakme Peach Milk Moisturiser round the year and experience soft and beautiful skin like never before. Lakmé Honey & Avocado Winter Care Lotion with Nutritiv Moisture Technology is a blend of nice Hydrating Agents, two Essential Vitamins, one Anti-oxidant and one AHA .This luscious blend of honey & avocado deeply infuses moisture in your skin to give you deeply moisturized youthful skin. The goodness of soothing emollient in the lotion keeps your skin supple in the chill of winter. This finely crafted moisturiser deeply conditions dry skin and even repairs skin damage caused by the harsh winter. This luscious blend of honey & avocado soaks into the skin’s deepest and driest layers moisturizing and protecting it from the winter sun.So indulge in this day crème with SPF 9 that will not only protect your skin but will also let you enjoy the winter sun. shall i use this Lakme Fruit Moisture Winter Perfect Day Cream in the evening as well??? ?